Use the auto finance calculator at Mercedes-Benz of Fairfield to estimate the monthly car lease or loan payment on your next Mercedes-Benz! You can easily determine the purchase price of your future C-Class sedan or GLC SUV with our simple payment calculator before taking on the Westport streets in your new vehicle. If you have questions about the estimated auto loan interest or lease payments of your new or used vehicle, feel free to contact us at your convenience! 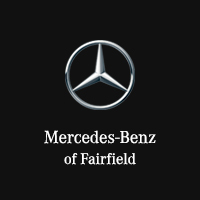 We want to help you find your next luxury car for the right price in Norwalk, so be sure to check out our Mercedes-Benz lease specials and finance offers before visiting us in Fairfield. We’ll walk you through Mercedes-Benz finance, gap insurance, and more!